Another school shooting. Ten people died, nine students. This is the 22nd school shooting since the beginning of 2018. The 22nd in just over five months. Let that sink in. At this point, we’re tired of it, tired of it happening, tired of hearing about it, and tired of the polemics. So maybe a perspective from a funeral director and embalmer can help scratch off the callous. As a forewarning, the content in this post will be disturbing as I present the problems embalmers face with gun wounds. My prof was right on both accounts. 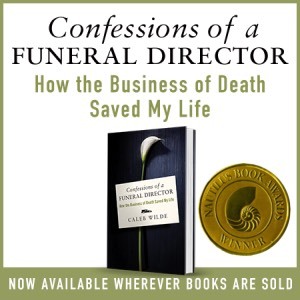 I write in my book how death allows us to transcend our little groups and see the bigger picture, namely that at our core, we may be Democrat or Republican, black or white, gay or straight, but we’re also fundamentally human. Our distinctives are important and should never be minimized, but death gives us a little reprieve from the unneeded tension because it allows us to focus on the things that bind us together, not the things that divide us. Remember 9/11? Remember how we joined together for a month or so, united? There’s a time for political action, and as I’ve argued before … if grief is the basis for someone’s action, it’s not our job to lecture that activist because — although death can be a classroom — you are NEVER the teacher. Simply: our job as outsiders is to give the grieving a refuge, not put them in a classroom. 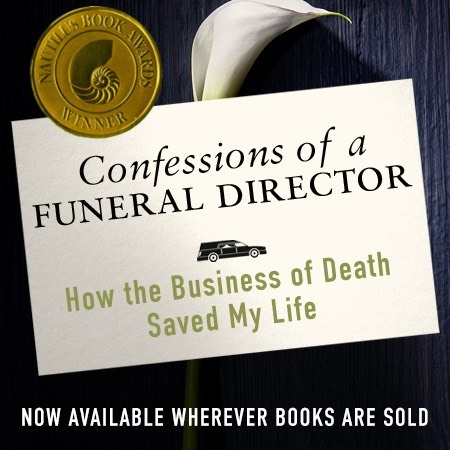 While funeral directors rarely get political, that doesn’t mean we don’t get involved. Seventy-one-year-old Ronald Jones, a funeral director from St. Louis was tired of burying kids killed by gun violence, so he finds at-risk youth on the streets and mentors them. Many times Jones said he’s recognized people that he’s cared about come across his (prep room) table. Nearly seven years ago, he lost someone that he had mentored for years. To this day, Jones still refers to her as one of his “kids.” She was shot 11 times. The bullet wounds left her face mutilated and her skull shattered. When he saw her, Jones didn’t even recognize her. Even though funeral directors are rarely political, we often see the outcome of violence, on both a physical and psychological level. We put together faces, and we attempt to put together the funerals for those faces. Seeing that, touching that, stitching that back together … it does something to a person. I can’t exactly say what it does except that it makes the world’s problems seem so much larger and so much more difficult. What is it like putting faces back together? Well, it depends. Either today or tomorrow, the parents and the families of the Santa Fe shooting victims have to make this decision: do we want to have a public viewing for our daughter/son’s body, or not? As the details of the shooting were coming out, I was particularly struck by the fact that the Santa Fe High School shooter used a handgun and a shotgun. From a number of accounts, it seems the shotgun was his weapon of choice. If so — like an assault rifle as well — a shotgun can create a variety of difficulties for an embalmer trying to restore the child. 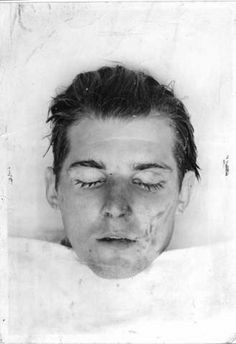 If I’m a parent, and a public viewing with embalming/restoration is something I want, I’m hoping that my child was one of the ones killed by a handgun (the shooter used a .38 revolver). One: SHOT TO THE HEAD: A handgun will have a small entry point and a slightly larger exit point (assuming it exits the body). A person can shoot themselves point blank in the skull and most of the time, the entry point is a little smaller than a penny. That’s usually a simple job for us to fix. Some basic cosmetology and you can hardly tell where the bullet entered. A shotgun is completely different. Depending on how close the shooter is to their target, a shotgun spray can disfigure a person’s body, especially the face. If the shot was to the back of the head, the skull is likely fragmented, but as long as the spray didn’t exit through the front of the face, we can piece the skull back together, or reconstruct the skull through a variety of options. Two: BODY SHOT: No biggie. A body shot might damage the arterial system, but it’s unlikely that it’d do any more damage than an autopsy, which is something embalmers encounter on a regular basis. In fact, many states require a full autopsy for any suspected homicide, which would mean the heart — the center for arterial distribution of the embalming fluid — would likely be removed for examination. Multi-point injections are a rather regular occurrence for embalmers. A body shot is the best case scenario if the family wants their child to have a public viewing. Three: MULTIPLE SHOTS TO HEAD AND BODY: If the head and body have sustained multiple shots, the embalming process is much more complex as we have to raise injection sites on the body for specific locations. In Sandy Hook and Parkland, Flordia, the shooters used assault rifles, which resulted in many of the victims being shot numerous times with higher velocity bullets. Multiple shots from an assault rifle, depending on where they hit and what caliber bullet can cause significant trauma to the head and body, making embalming and restoration much more technical, if not impossible. If the parents want their child embalmed for a viewing, it falls on us to do our best, and be honest with the family if it’s an impossibility. Some embalmers will be putting countless hours into restoration to make the Santa Fe children look as much like they did before they got shot at their school. And when all is said and done, the best job they can do might still not be perfect. But this is violence, this is a tragedy and perfect disappeared as soon as the shooter starting pulling the trigger. At this point, most articles about school shootings end with an action point or a political sound byte. I’m a funeral director and embalmer. I’m not supposed to get political. I can’t tell you how to fix the problem, all I can say is that I wish we never had to fix the fractured faces and bodies of school children. I wish we never had to hear mothers and father weep. I wish we never had to … but we do. This entry was posted by Caleb Wilde on May 19, 2018 at 5:34 pm, and is filed under Death in the News, Death of a Child. Follow any responses to this post through RSS 2.0.You can leave a response or trackback from your own site.